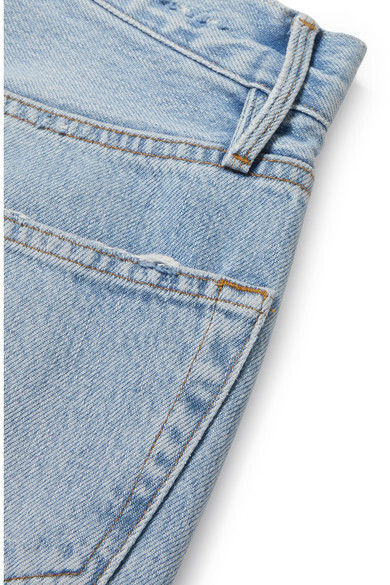 Founders Jens Grede and Erik Torstensson initially set out to create the perfect skinny jeans, and since then, FRAME has nailed every other fit, too. 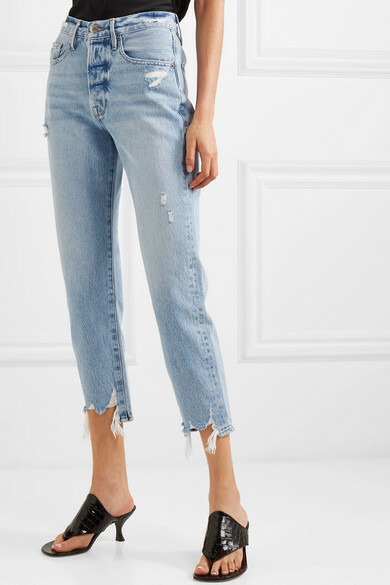 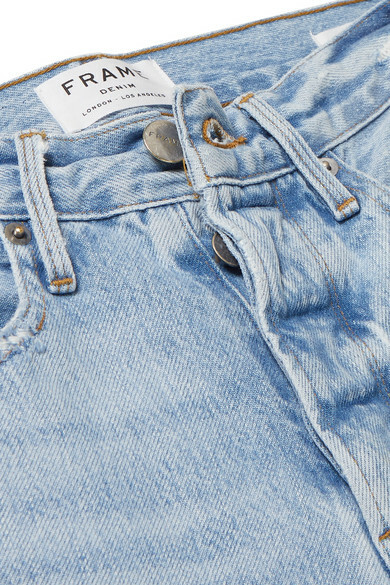 This distressed 'Le Original' pair is cut from rigid light-blue denim which holds the slim shape well and sits high on the waist. 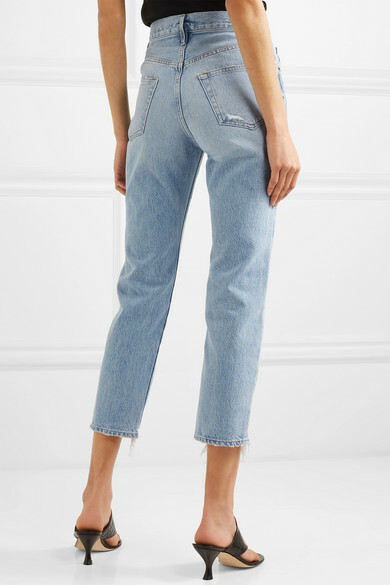 The cropped length will showcase this season's '90s-inspired sandals or 'ugly' sneakers. 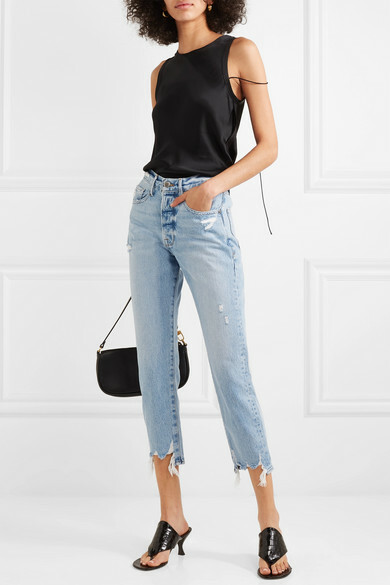 Shown here with: Helmut Lang Tank, Current/Elliott Jeans, BY FAR Shoulder bag, STAUD Mules, Sophie Buhai Earrings.